Though it’s still February, signs of warm weather are springing up. Tulips, Daffodils, Hyacinths, and other early spring flowers are popping out of the ground, giving us hope of an early spring. Wineries are showing signs of spring too. One of the early signs that spring is just around the corner is the start of wine festival season. Wine festivals are a chance for wine lovers to taste wines from many of our state’s wineries and choose their favorites to visit later. First on the schedule is the McConnell Spring’s Barrel Tasting, on March 31, featuring the wineries of the Bluegrass. The month of May offers two chances for wine tastings; May 1 and 2, at the Kentucky Derby Wine Festival, on the Belvedere at Waterfront Park and Kentucky Wine and Vine Fest at Nicholasville, on May 10, 11, and 12. On June 9 and 10, Boone County’s Jane’s Saddlebag will host their annual wine festival. Spring is a lovely time to get out and enjoy what the state has to offer, so mark your calendars. Watch for more information in the coming weeks. A special holiday for those of us who love our grapes in a glass, February 18th is National Drink Wine Day. Get ready wine lovers, find your favorite bottle, pour a glass, and toast the day. As a wine lover, it’s your duty to support the holiday! Romantics look hopefully on Valentine’s Day as a day to celebrate their love. Some plan special evenings with their special someone, with dinner out or maybe dinner in. Others look for that special gift, maybe roses, candy, or jewelry. Wine lovers, who are also romantics, start thinking about what wine would be special enough to share with their loved one. A special wine should be one you both will enjoy, a wine that you rarely share, maybe even a bit more pricey than your usual choice. For our special romantic evening, we are toasting the day with Nebbiolo. The Nebbiolo grape is a preeminent grape used in both Barolo and Barbaresco wines in certain regions of Italy. Nebbiolo wines have moved to other parts of the wine world. We discovered a Nebbiolo wine at Barboursville Vineyards in Virginia several years ago. This wine is one of their premium wines and has a large following for its aromas and flavors. Many descriptive words are used to describe this wine not all appealing, like roses and tar, or violets, herbs, tobacco, and prunes, but the wine is very appealing. 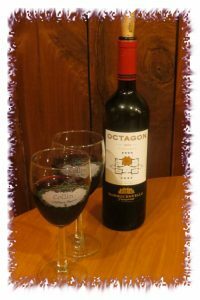 It is one of our favorites and just the right wine to celebrate love and romance. Whatever your choice for the day, hope you and your love have a happy and romantic day! For the 11th year, wine lovers of Kentucky have the opportunity to support the state’s history and taste some really good wine at the “Wine Barrel Tasting for the Springs.” Eighteen of Central Kentucky’s wineries will be giving tastes of a wine that is still aging in the barrel. McConnell Springs, a National Historic Site, is the location where William McConnell and a group of explorers camped in 1775. While there, news reached them of a victory at Lexington, Massachusetts in the Revolutionary War. They named that future settlement Lexington. Today, visitors can visit the site with its natural landscape and historical remains of that early settlement. Proceeds from the Barrel Tasting will help fund improvements at McConnell Springs. 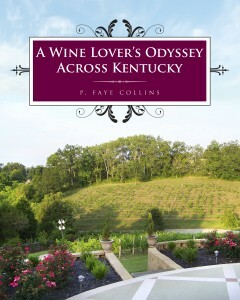 Each spring many wineries of the state that are within an hour’s drive of Lexington participate in this event. This year the event takes place on March 31, 2018. For $20, a person can travel around the Bluegrass at their own pace and in their own vehicle visiting their choice of participating wineries, and receive a commemorative glass. Many wine lovers are familiar with barrel tastings and have enjoyed experiencing the stages of aging of their favorite wines. If you are new to the wine world and have never tried wine from the barrel, it is really a treat. Wine makers, while sharing facts about the wine, will draw wine directly from the barrel with some sort of wine thief and pour it directly into the taster’s glass. Wines change as they age and wine makers try the wine at different stages to be sure that it has reached the taste they want. A barrel tasting is an opportunity for wine lovers to be a part of this process. Check my links page for more information on McConnell Springs. We have enjoyed the “Wine Barrel Tasting for the Springs” many times in the past and look forward to the event this year. What a good way to celebrate the beginning of spring!